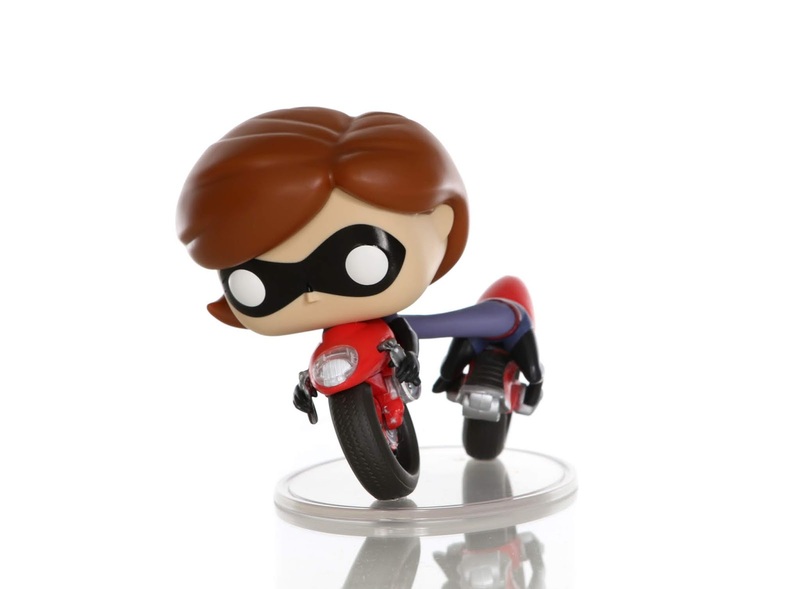 Ready for one of THE COOLEST Funko POP! figures ever? Ok, that's totally subjective, but this thing is amazing and definitely one of my personal favorites in my entire Funko collection. 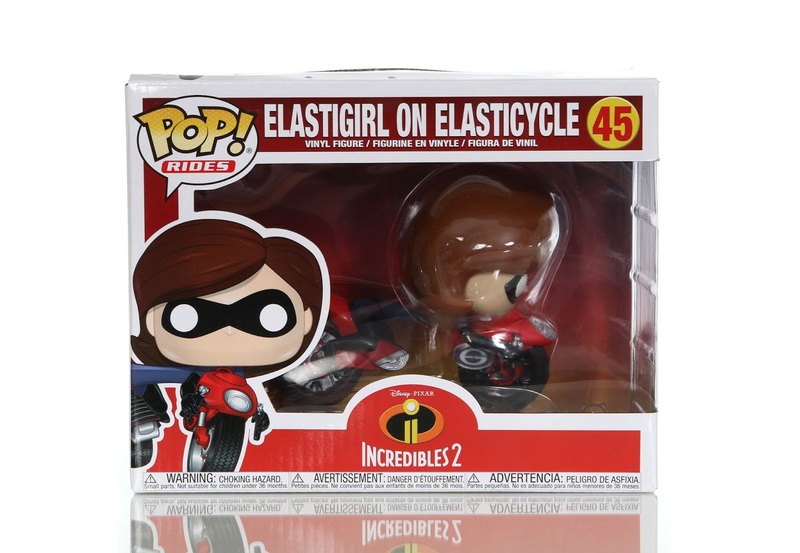 Here we have the Funko "Rides" Incredibles 2 Elastigirl on Elasticycle— No. 45 in the "Rides" series! 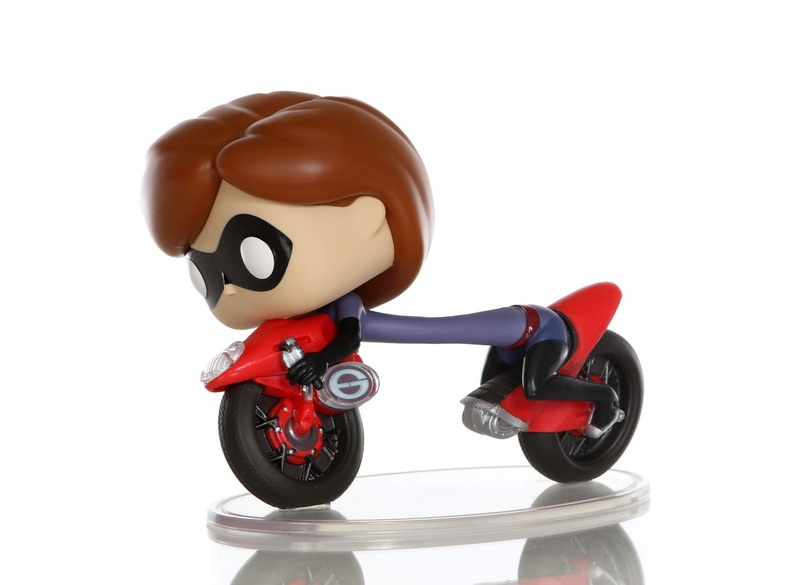 As I've mentioned before, the Elasticycle chase sequence in the film was one of my favorite scenes; so any merch that reminds me of that amazingness is a must have for me. 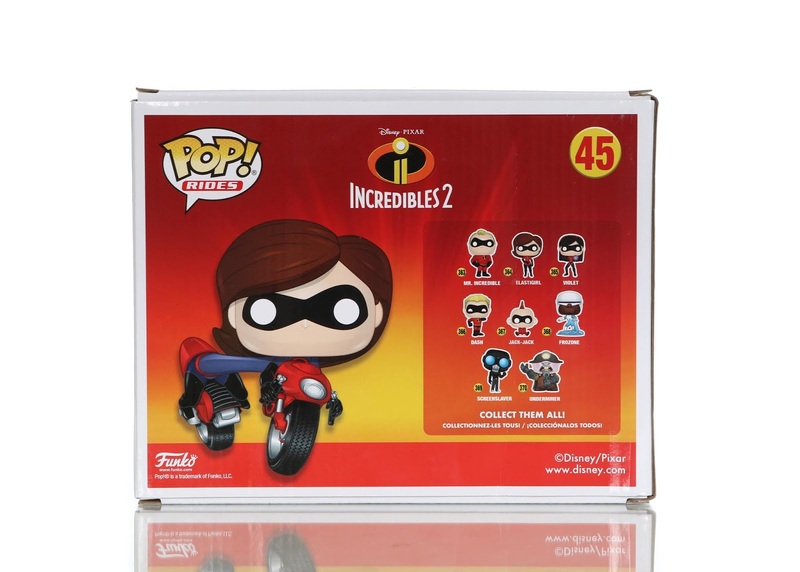 This isn't just any Elasticycle toy though; this collectible is stylized in such an insanely awesome way that I kind of don't even know where to begin. I think I'm just going to let my photos below do the talking. As an adult collector who loves a good display piece, this POP! delivers in every way. From the clear display stand to the character's incredible design (LOVE that action pose) to the clean paint application...this thing has it all. Kind of obsessed. So photogenic! 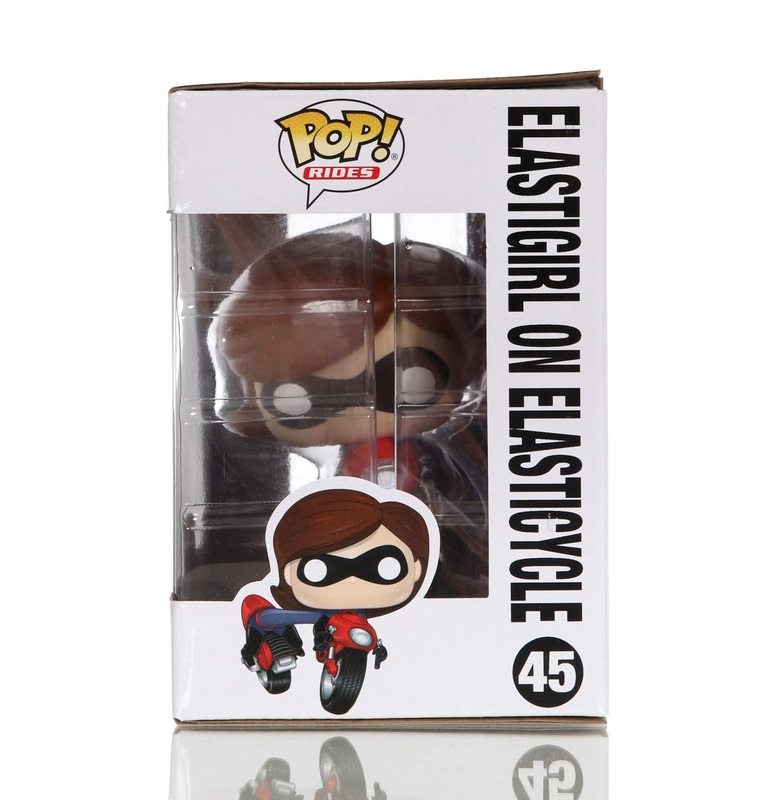 Why does the Elasticycle always look so good is photos, no matter what the product? 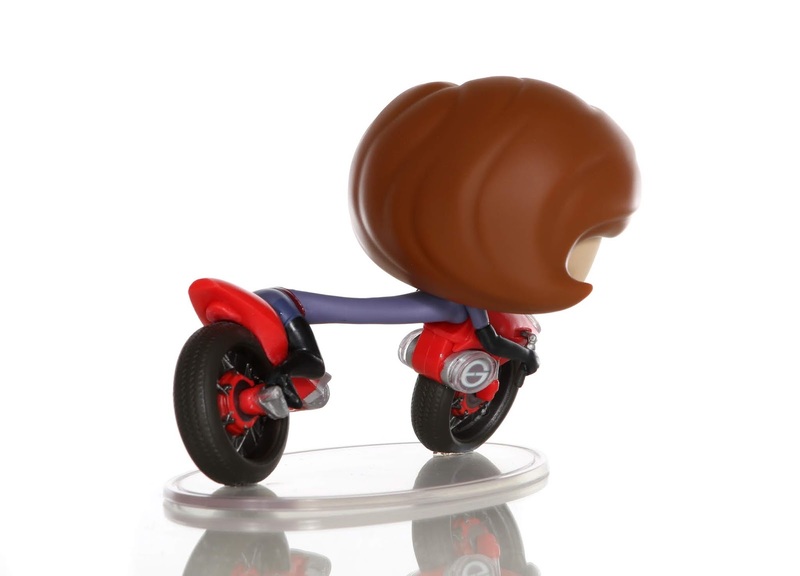 This is the very first Pixar Funko Rides product to actually be released. 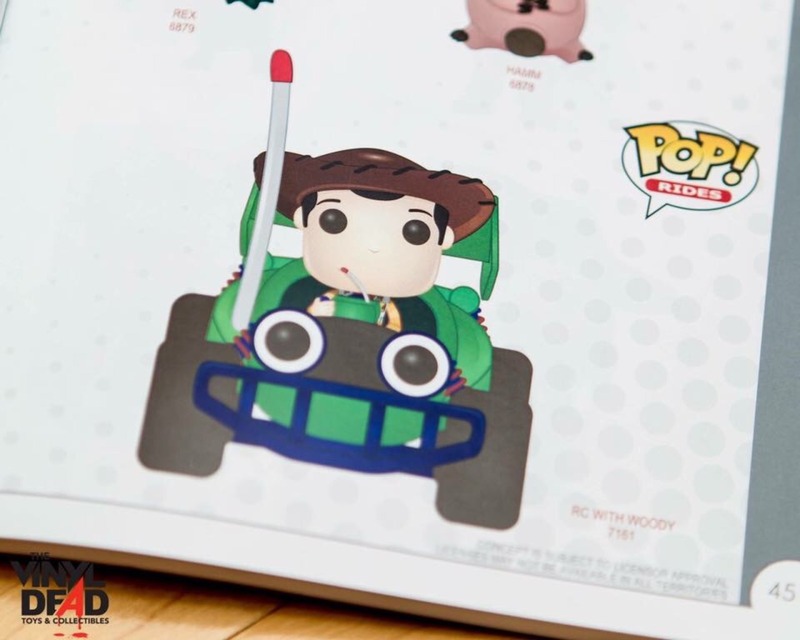 There was suppose to be a Toy Story RC and Woody (seen HERE), but it never saw the light of day. I wonder why? Anyone here know any info? To finish up with some of the details here with this one, the figure's size is 4 3/4" x 4" and retail price ranges from $24.99 (GameStop) to $32.50 (Hot Topic). You can find it at other places I'm sure as well. I'm not sure why Hot Topic upped the price so much, so unless you have Hot Cash to spend, I'd recommend snagging this at Game Stop (online or in store) or Amazon using the link below. Heck, even eBay has fair prices in the $25 range. To be honest though, for the size (which is pretty small) this should have been an $18-$20 POP!, but that's my only little complaint. Everything else is perfection! Five stars. What do you think of this Ride? Shout out your thoughts down in the comments and let me know if you've picked this one up for you collection or plan to!